Each cabin in historic Sit 'n' Whittle Village is unique. This quaint area of campus is so charming - you'll feel you've stepped back in time. Groups like to rent all of Sit 'n' Whittle Village and use its Lodge as a central gathering space. It's perfect for family reunions, church retreats, and quaint weddings. Rhododendron cabin has two bedrooms, one bath, and one of the most beautiful lakeside views anywhere. Noo Nook cabin is a beautifully unique lakeside log cabin with a bedroom, bathroom, and small living room downstairs and via separate and private entrance, a bedroom and bathroom upstairs. 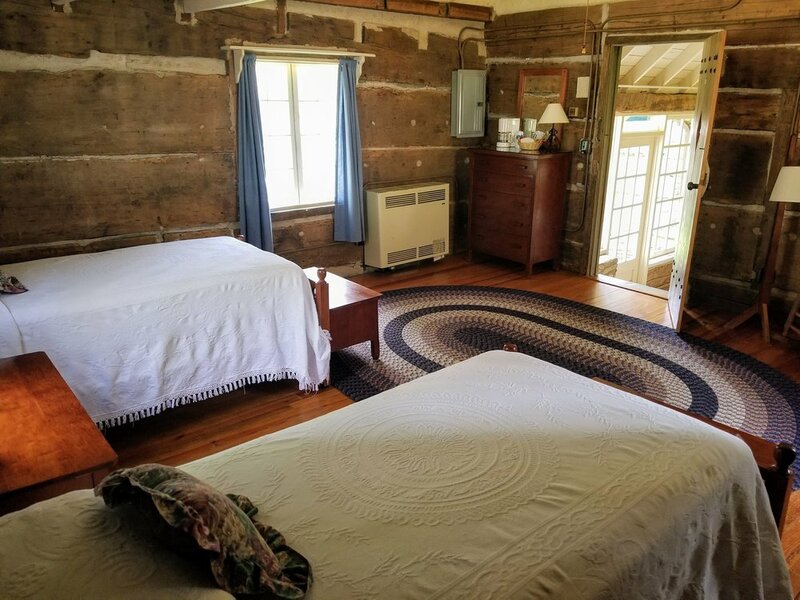 A quaint and comfortable cabin with one bedroom, one bath, and perfect front porch complete with rocking chairs, Honeymoon is located in the heart of Sit 'n' Whittle village. A small brook bubbles just outside this cabin, creating one of the most peaceful and relaxing atmospheres anywhere. Located directly next to Sit 'n' Whittle Lodge, Shuteye has two bedrooms, one bath, a gas log fireplace, and some of the most unique and beautiful architecture on the whole property. Shuteye boasts all of the charm of a 19th century mountain cabin with the comforts of modern living. Two bedrooms, one bath, gas log fireplaces, and a private covered porch, Mimosa has views of the lake and is well suited for guests using Sit 'n' Whittle Lodge as a meeting space. One of the most private and secluded cabins in the Sit 'n' Whittle village, Seldom seen is a two bedroom, one bath cabin with gas log fireplaces, and a porch with gorgeous views of the lake and mountains.